Attending a large event like the California Family Winemaker trade show, March 9th in Pasadena can, at times, be disconcerting. With too many wineries, too many people, these tastings lack the intimacy, the discussion it takes to truly understand the wine. With a crowded room and nearly 160 wineries pouring their new vintages, the time for a proven “take-a-way strategy was now. I scan the booklet, select a few wineries that represent the top end and try to discover new and re-discover old wines that are, in my judgment, worthy of our palates. Great wineries like Fiddlehead (Santa Rita Hills), Ken Volk (Santa Maria Valley) and Adelaida Cellars (Paso Robles) were on-site but removed because I had recently tasted and written about their new vintages. After tasting their available flights, red and white, the following wineries produced specific wines that rose to the top. In the late 1980’s when Fogarty forged into the new red varietal boom with pinot noir and meritage, we soon forgot that their Gewürztraminer is, annually, as good as any from California. The Thomas Fogarty Gewurztraminer Monterey County 2011 ($18) has that pleasant combination of floral and tropical fruit flavors and the nice hint of star jasmine on the nose. This is one of the few Fogarty wines with grapes sourced from outside his estate vineyards. Monterey County’s Santa Lucia Highlands, south of Salinas, seems to be ideal terroir for this soft white wine. 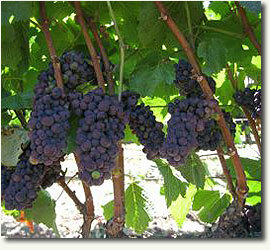 Family Wines follows this tradition while focusing on fine syrah. The 2009 Novy Santa Lucia Highlands Syrah ($28) sourced from the appellations finest “Garys’, “Rosella” and “Susan’s Hill Vineyards,” has full dark fruit and spice driven flavors that are balanced and long-lasting in the mouth. The grapes from each vineyard are fermented and separately then the best barrels are selected for the final blend. Novy produces several 100% syrah wines and they are all exceptional for my palate. Years ago, I had an opportunity to discover Rocca Family wines in their, then downtown Napa tasting room. I specifically remember the good, medium-priced cabernet sauvignon from one of their two estate vineyards, Grigsby and Collinetta. combination trends toward “big and bold” and this wine does not disappoint. It has a very aromatic bouquet, very forward flavors of dark cherries and berries with a pleasant texture and balance offering a bit of restraint. Although fairly pricey, it is a special wine and only 215 cases were produced. A new collaboration between proprietor Roger Bower and winemaker Adam Henkel, Westerly Wines produce both red and white wines that focus on the coastal Santa Rita Hills and the warm, inland Happy Canyon appellation in the Santa Ynez Valley, both in north Santa Barbara County. 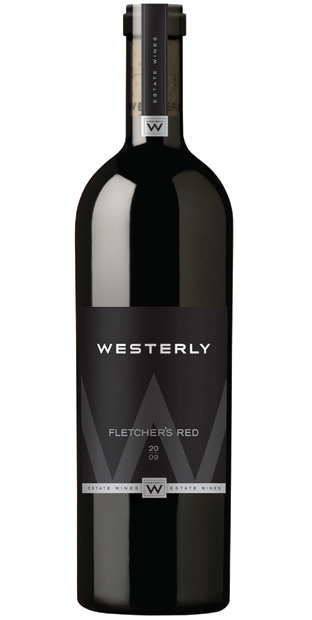 Their flagship 2009 Westerly “Fletcher’s Red” Blend ($75), consisting of merlot (46%), Cabernet Franc (29%), cabernet sauvignon (15%) and syrah, (10%), each fermented separately, exudes nicely focused fruit flavors and, with full malolactic fermentation, is soft enough to drink now. The 2011 Westerly Cote Blonde ($50), a blend of Rhone varietals syrah (95%) and viognier (5%)is also recommended. Over 650 individual wines to taste, all from California Family Winemakers, and these are the best based on my unscientific and, somewhat, subjective methodology. This entry was posted on Wednesday, March 12th, 2014 at 4:09 am	and posted in Wine. You can follow any responses to this entry through the RSS 2.0 feed.